Oh, I can’t wait to read it. Just requested it online from my library. Thanks! Isn’t he adorable! 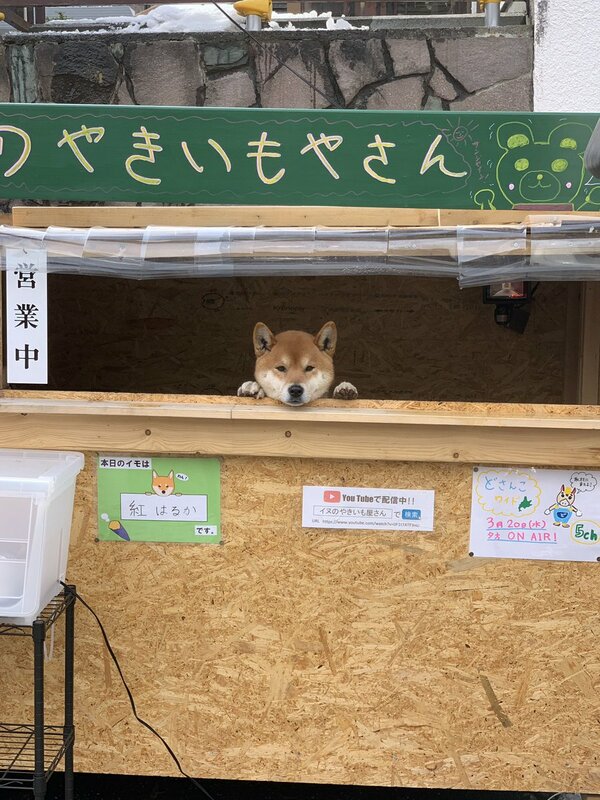 I’d buy from him! Scooter: Did you see Ksbeth’s blog post today? Scooter: I could do that. Me: What would you sell? Me: Out here in the country? Miles from any traffic. Scooter: Trust me, we would go through a lot of product. Shiba Inus are so smart. That’s a real working dog. That store is like Sears and KMart: gone the the dogs. What a good business dog. The dogs owner is clever! Another drawback to not having opposable thumbs…. you can’t give change. Dogs can’t take money but they can spread love. Love is natural and money is not! I wonder what exactly he can do. So adorable. I imagine he might eat the paper money. Totally brightened up my day. thanks! The stand even has a built-in security system!